Rheumatoid arthritis is a chronic, inflammatory type of arthritis. Rheumatoid arthritis is also classified as an autoimmune disease (immune cells attack the body's own healthy tissues). The joints are primarily affected by rheumatoid arthritis, but there can be systemic effects (i.e., organs) as well. Researchers have worked for years to find the cause of the abnormal autoimmune response associated with rheumatoid arthritis. There is no single cause which has been found. Common theories point to a genetic predisposition and a triggering event. Morning stiffness lasting more than an hour, involvement of the small bones of the hands and feet, extreme fatigue, rheumatoid nodules, and symmetrical joint involvement (e.g., both knees not one knee) are all characteristics of rheumatoid arthritis. There is no single laboratory test or x-ray that can diagnose rheumatoid arthritis. A combination of test results, a physical examination, and patient medical history together can help determine a diagnosis of rheumatoid arthritis. X-rays and MRIs are also ordered to help with the diagnostic process, and throughout the course of the disease to monitor the effectiveness of treatment. The goal of early diagnosis and early treatment is to prevent permanent joint damage. Arthritis medications are the primary course of traditional treatment for rheumatoid arthritis. Each individual patient is evaluated by their rheumatologist and a treatment plan is recommended. Along with medication, some forms of complementary treatment or local injections may help relieve pain. Approximately 1.5 million people in the United States have rheumatoid arthritis and about 1-2 percent of the world population are affected by rheumatoid arthritis. Women are more affected than men. About 75 percent of rheumatoid arthritis patients are women. Men, women and even children can develop rheumatoid arthritis. Typically, disease onset of rheumatoid arthritis occurs between 30 and 60 years old. About 20 percent of people who have rheumatoid arthritis test negative for the rheumatoid factor. Those patients are classified as "seronegative rheumatoid arthritis". 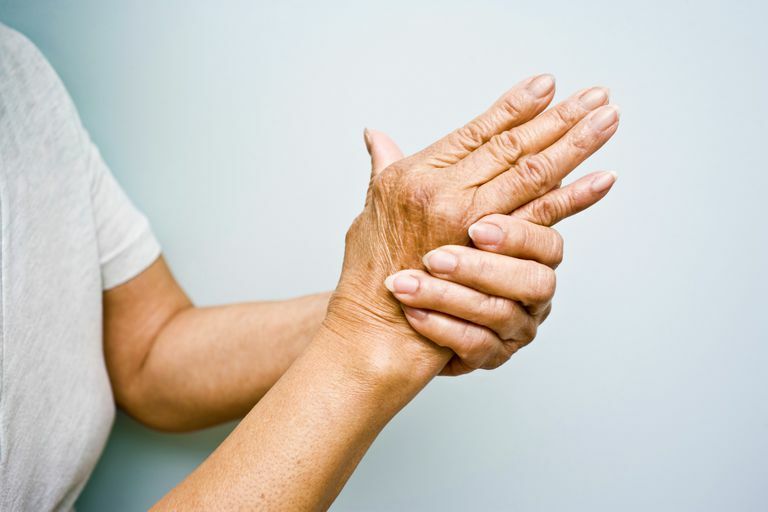 It is generally thought the seronegative patients have a less severe case of rheumatoid arthritis and less disability, but that is not always the case. Rheumatoid arthritis has been associated with a higher risk of mortality, higher risk of heart disease, and also a higher risk of lymphoma than the general population. Another point of interest is that smoking has been identified as a risk factor for developing rheumatoid arthritis. Rheumatoid Arthritis. American College of Rheumatology. Updated August 2013. Kelley's Textbook of Rheumatology. Ninth edition. Elsevier. Chapter 69. Rheumatoid Arthritis.